Here are the special events coming up in November and December. You can also always check our upcoming events page. 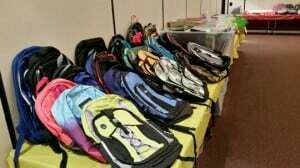 The backpack distribution date is Monday, August 21st. This event will be held at The Bob Eisengrein Community Center, Devens, MA. The deadline for donations is Friday, August 18th. For donation drop-off information or questions, contact Christine at: LnFbackpackprogram@gmail.com or call (978) 772-4627. THANK YOU FOR SUPPORTING THE CHILDREN IN OUR COMMUNITY AS THEY HEAD BACK TO SCHOOL! The Loaves & Fishes Board of Directors, Staff and facilitator Tammie Foote presented Loaves & Fishes’ Strategic Plan at a breakfast meeting on June 6, 2017. The Strategic Plan in PDF format is available here. 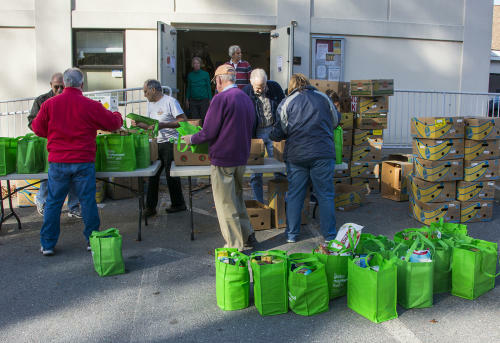 A high and growing higher number of people in our area face food insecurity: 1 in 16 people overall, 1 in 6 children and 1 in 5 senior citizens. Poverty rates in some of the towns we serve are 12%. The population living on fixed incomes is growing rapidly as baby boomers retire. Improvements in transportation to Devens may lead to more people who need our services gaining access. Hunger and food insecurity aren’t the same thing. Quality and nutritional value of food matter. As Loaves & Fishes has shifted to more fresh produce our storage and distribution requirements have shifted. Uncertainty over funding and other support for public assistance programs.